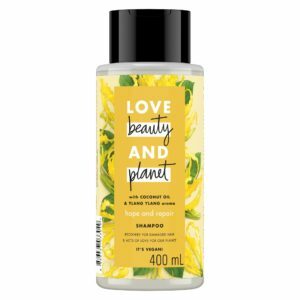 Love Beauty and Planet Coconut Oil & Ylang Ylang Hope and Repair Shampoo gently nourishes, helps repair hair, and helps prevent split ends for smooth and healthy-looking tresses. 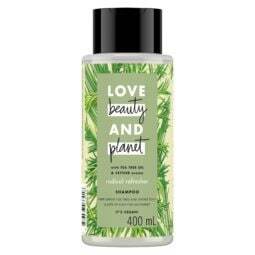 Infused with Virgin Coconut Oil, known to nourish, and Ylang Ylang flower for early morning freshness. 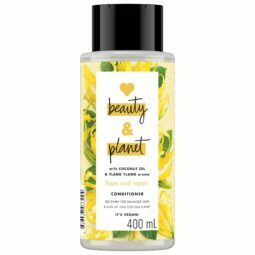 Love Beauty and Planet's Hope and Repair Shampoo helps in the recovery of damaged hair. Out in the sun often? Check your tresses for signs of damage like dryness and dullness.